It is well known that the more natural or less processed the food, the better it is for us humans. I have taken this a step further and have been applying this philosophy to dogs and cats in my practice with phenomenal results. What made me begin to think about this was the overwhelming number of times when a client would bring their dog to see me with all kinds of skin or GI (gastrointestinal) problems. They would tell me about the high quality protein, wheat free, hypoaller- genic, super fancy, movie star endorsed diet their dog was on and how great it was... but Doc, why is my dog sick? They would say this never happened to the old farm dogs we used to have that just ate from our table. I had no response except to say the usual speech that table scraps are bad for dogs. Which they are, especially when they are full of fat. Too much and the wrong kind of fat is bad for people and pets. The good thing about preparing your dog’s food yourself is you know exactly what your pet is eating and it is human grade food. Why is this important? I don’t know... do you eat dog food? Of course not! It smells horrible and probably tastes worse. Not only that, but look at the ingredient list! Most people can recognize the first several ingredients but after that come the things that you cannot pronounce that make meat products last for months at room temperature. These are the preservatives. The same chemicals that keep mummies from rotting! What do you think now? Imagine sitting down to the dinner table, you have two plates in front of you. One has a perfectly roasted chicken breast, the other has the left over kibble from your dog’s bowl. Do you really need a college degree to know which is healthier? It’s no wonder that the old ranch dogs that ate from the table did not have all the problems today’s dogs have. 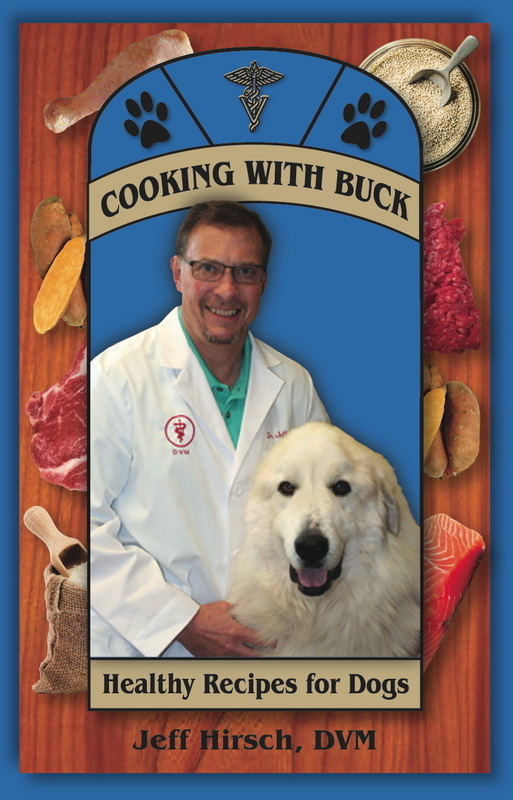 Order your copy of Cooking With Buck now! 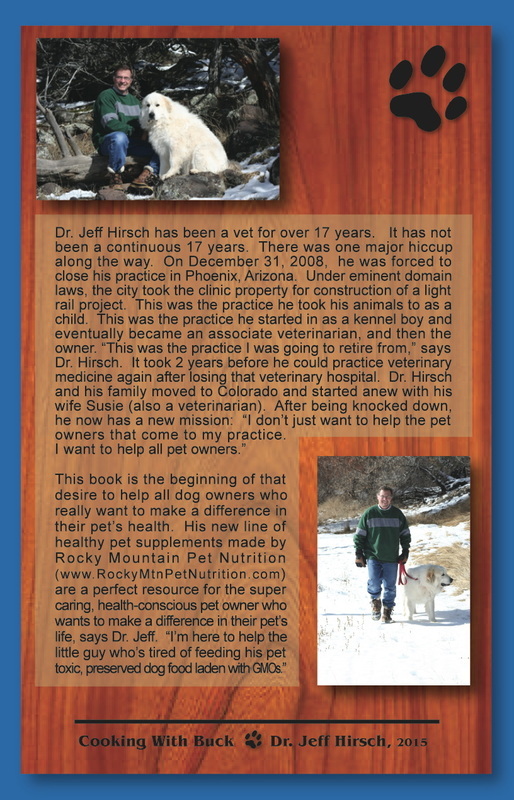 Get your pet on the fast track to good health and start cleansing their body of toxins built up over a lifetime of commercial kibble consumption!